Russia's hybrid military forces attacked Ukrainian army positions in Donbas 22 times in the past 24 hours, according to the press center of the Anti-Terrorist Operation (ATO) Headquarters. 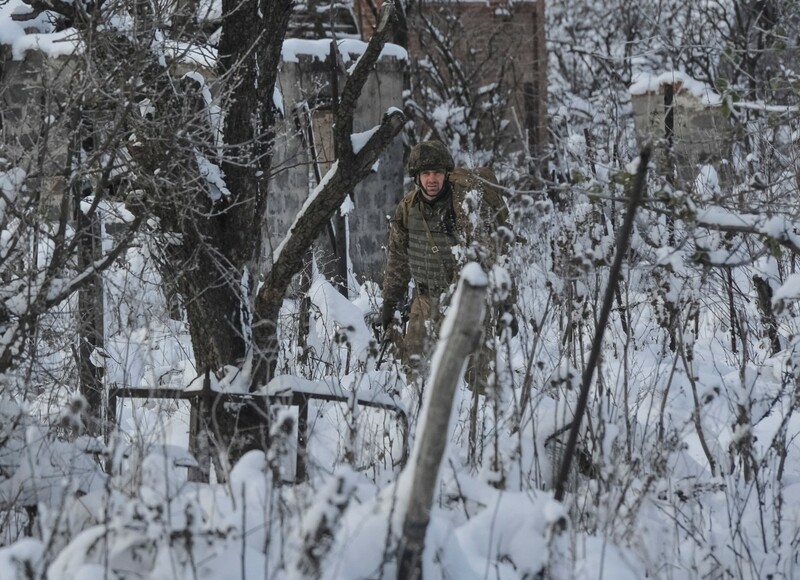 In the Luhansk sector, the enemy was active near the village of Luhanske after dark. Here, from 21:00 and almost until midnight, the militants were firing every two minutes from 120mm and 82mm mortars on the Ukrainian fortified positions and launched a total of almost one hundred shells. The occupiers also employed mortars against the defenders of the villages of Lozove, Krymske and Zaitseve. Moreover, the invaders opened fire from infantry fighting vehicles and infantry weapons on the Ukrainian fortified positions near the villages of Troyitske and Novo-Oleksandrivka. Read alsoOSCE surveillance camera at Donetsk water filtration plant records increased fire by militantsIn the Donetsk sector, Russian occupation forces fired 120mm mortars near the village of Vodiane in the evening hours of Monday, as well as 82mm mortars near the village of Berezove. In addition, the Russian-backed mercenaries violated the ceasefire, shooting from infantry fighting vehicles and small arms near the village of Bohdanivka. Read alsoCeasefire violations recorded in all directions in Donbas in past day – Ukraine's ATO HQTo suppress the enemy fire, in cases when there was a threat to the life and health of Ukrainian troops, the ATO forces returned fire, using weapons that are not prohibited by Minsk agreements. Fortunately, no Ukrainian soldiers were killed or wounded in action over the past day.